GENUINE ROCKY MOUNTAIN ASPEN LEAF NECKLACE ~ COPPER ~ NEW!! GENUINE ROCKY MOUNTAIN ASPEN LEAF NECKLACE ~ SILVER ~ NEW!! Details about GENUINE ROCKY MOUNTAIN ASPEN LEAF NECKLACE ~ GOLD ~ NEW!! 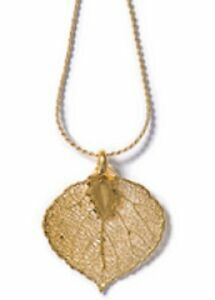 GENUINE ROCKY MOUNTAIN ASPEN LEAF NECKLACE ~ GOLD ~ NEW! !